Banners.com helped Larry, from the Scottish Rite Group, with a vinyl banner. 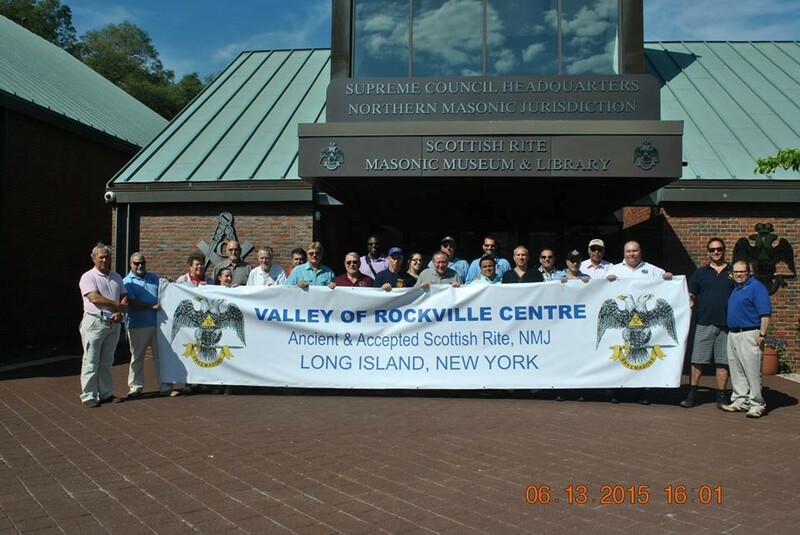 Larry was nice enough to send us a photo of the vinyl banner with the group at the Scottish Rite Supreme Council HQ in Lexington, MA. The banner arrived yesterday. WOW, that's some banner! BIG difference between a tiny proof and a BIG vinyl banner. 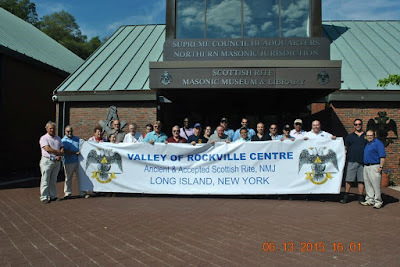 Here's the picture from my Masonic group with the very well traveled banner (from MN to NY to Lexington, MA). Everyone really liked it and were totally surprised because I didn't tell them I had it made up. Thanks to you and the whole Banners.com crew for a great banner! Thank you for sending over the photograph of your group! We were happy to help with the banner! If your organization needs a vinyl banner for brand awareness, or for an event, contact us! You can browse event banner templates on our event banners page. You can also upload your own artwork file, or have one of our graphic designers assist you with your artwork.